Bwin Poker employ the strictest anti-hacking security standards so you can deposit and withdraw your money with absolute confidence. Bwin, one of the major online gambling companies in the world, offers not only poker, but also games, sports betting, and casino. Besides offering topnotch gaming services, Bwin sponsors significant European sports events, gives top priority to customer satisfaction, and is committed to responsible gambling. Since Bwin bears the eCOGRA seal and certificate, players can rest assured that it is 100 percent safe and secure to play real money poker games at Bwin Poker. Don’t Forget your Bwin Poker Bonus Code when signing upAn informative poker blog also forms part of Bwin Poker, and players can always pick some excellent poker tips, strategies, and news at this blog. 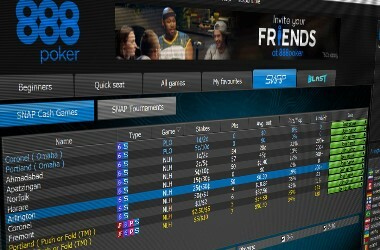 Bwin Poker also encourages social poker through its Profile section, where players can view the profiles of other Bwin Poker players. Bwin Poker offers something that most online poker rooms do not dare to offer – a no-deposit bonus, which means that online poker players can play real money poker even before making a first deposit. As soon as players register a real play account, they will receive 10 free tickets to the Rookie Challenge, where they can play free poker and win real money. Once players have exhausted their 10 free tournament tickets, they can make their first deposit. 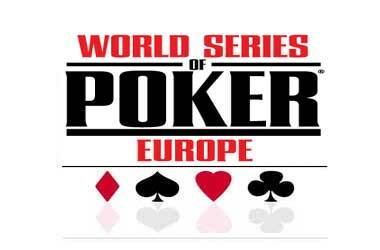 The online poker room will then give them a free poker bonus of up to $500 on their initial deposits. This bonus is very easy to clear, requiring players to collect only 10 poker points per dollar. 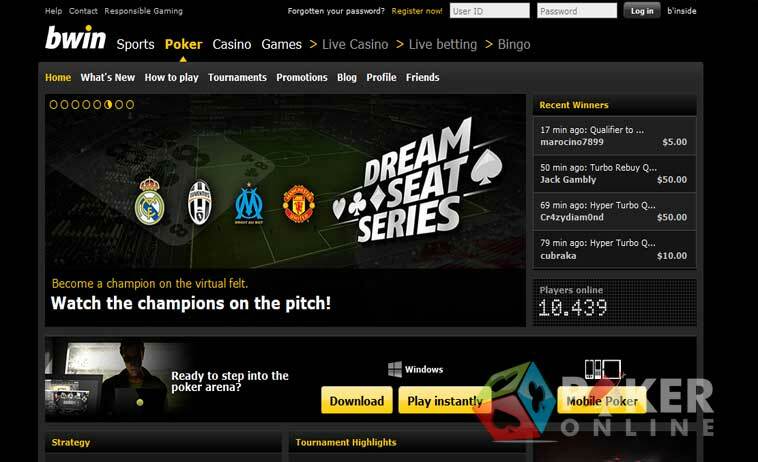 Bwin Poker’s Members Program is called b’inside. It is a reward system through which the online poker room rewards players for real money play. The online poker room rewards players with Market Points whenever they wager real money on poker games and tournaments, and players can later exchange these Market Points for merchandise, cash, or tickets to tournaments. New players are invited to join b’inside as soon as they sign up and make an initial deposit, and once they do so, Bwin Poker rewards them with 1000 Market Points. Bwin is literally a paradise for online poker players fond of tournaments. Every day, the online poker site runs freerolls worth $1000. Called the $1,000 Daily Freerolls, it challenges players to win their share of $1,000 in bonuses and free tournament tickets twice everyday at 17:00 and 22:30. The $100k Guaranteed is one of the most lucrative tournaments at Bwin Poker. It is run at 21:00 GMT+1 on Sundays. 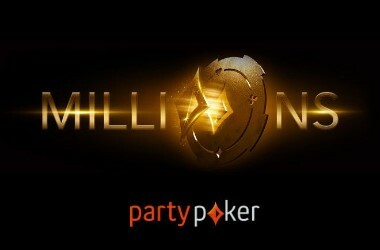 Players who win nothing on Sundays can trying winning a share of $50,000 in the $50,000 Guaranteed, which is run on Saturdays at 20:00 GMT+1. 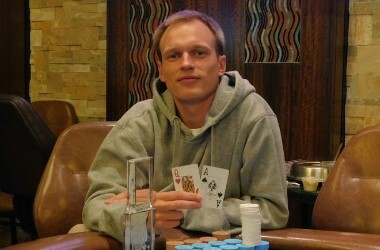 Bwin Poker has a great tournament for high-stakes players. 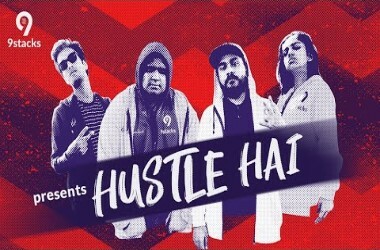 Played every week on Tuesday at 20:30 CET, this is a $50k guaranteed tournament, which has a buy-in of $500+$25 and is a 10-hand freezeout tournament. Bwin Poker is ideal for beginners because it has a great poker school, which teaches new players all that they need to know about poker, its history, rules, cash games, hand rankings, basics of betting, betting limits, poker strategies, cash games, tournaments, and so on. Besides, the Poker School teaches beginners how to install Bwin Poker’s gaming software and get started, how to play poker games at Bwin, how to improve their poker skills, and much more. Since Bwin is an internationally acclaimed gambling company, it goes the extra mile to offer the best banking methods for its online poker players. Players can withdraw winnings using the same banking method they used to deposit funds. Players who wish to know the ideal banking methods for their country have to choose their country from the drop-down box and a list of banking methods with required information appears on the page. For instance, the recommended banking methods for UK players are Kalixa, Visa, Visa Electron, MasterCard, Maestro, PayPal, Neteller, Skrill, Neteller, ClickandBuy, PaySafeCard, UKash, FreeBet, and others. Since Bwin accepts deposits in a wide range of currencies, players can use currencies of their choice such as US dollars, Pounds, Euros, and others. 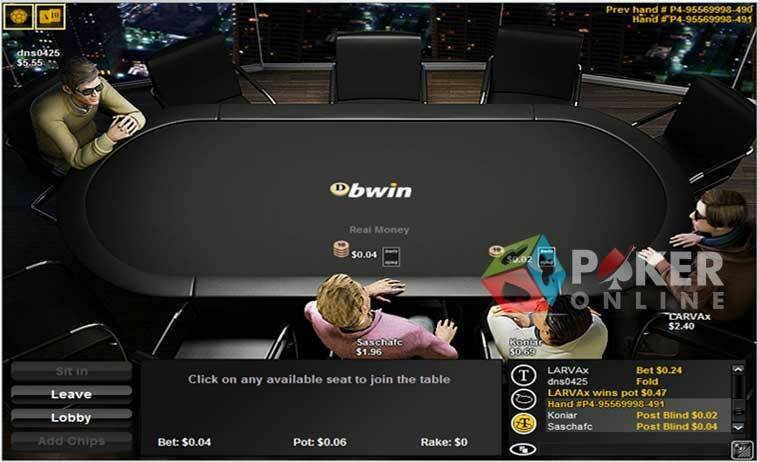 Bwin Poker offers customer support round the clock; however, the online poker site requests players to find answers to their query in its comprehensive Help section before getting in touch with its customer care representatives. If players cannot find answers to their queries in the Frequently Asked Questions (FAQs) section, they can use the online contact form, call 00350 200 47 196, fax 0043-1-205330-18000, or write to ElectraWorks Limited, Suite 711, Europort, Gibraltar.